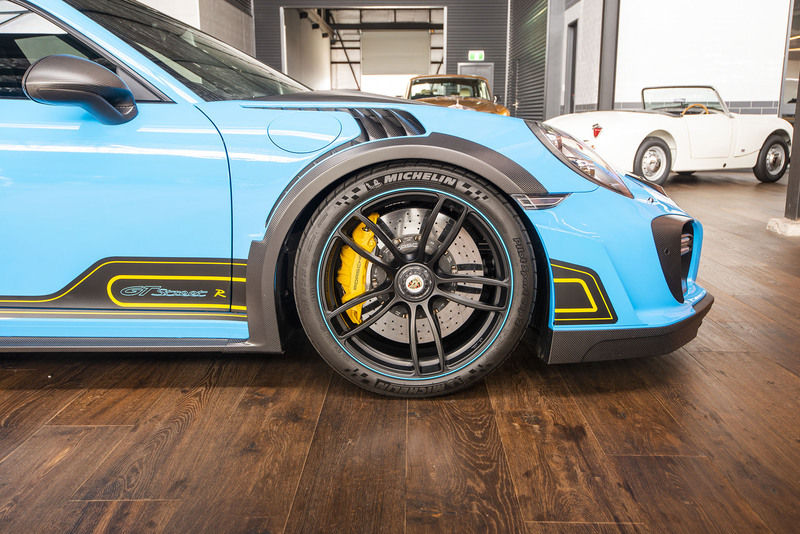 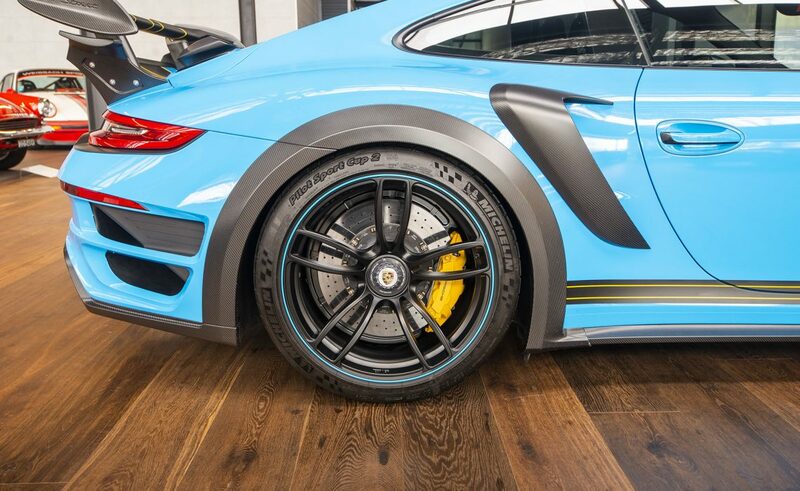 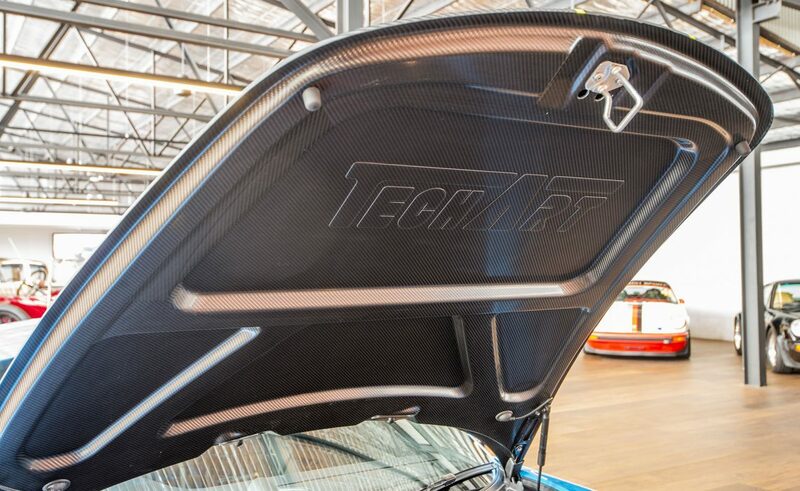 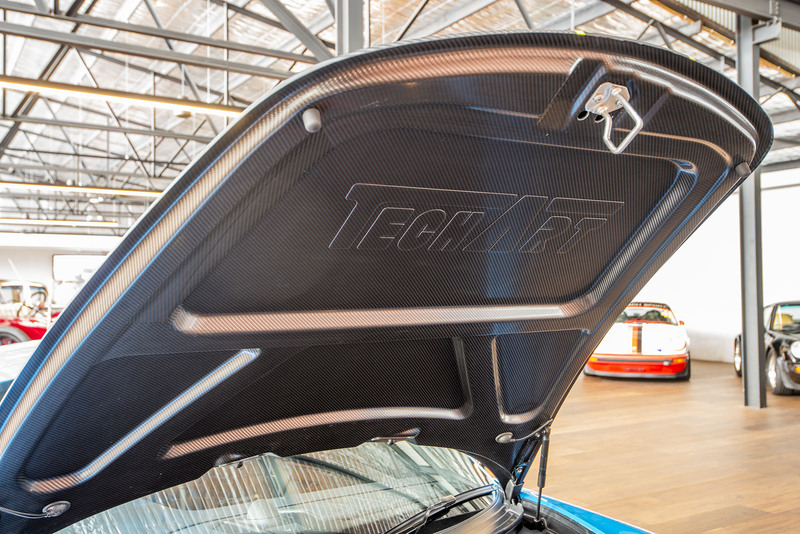 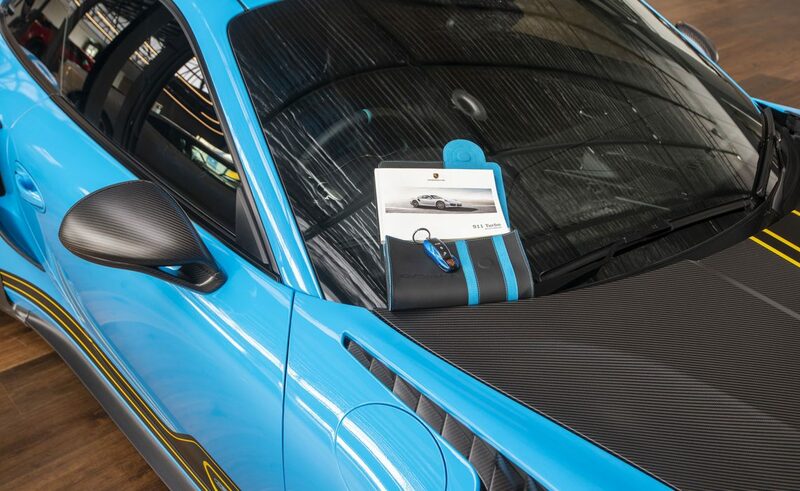 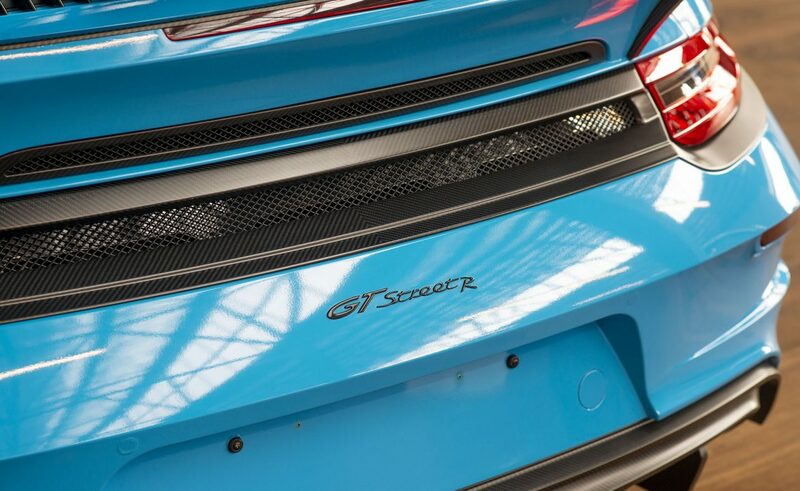 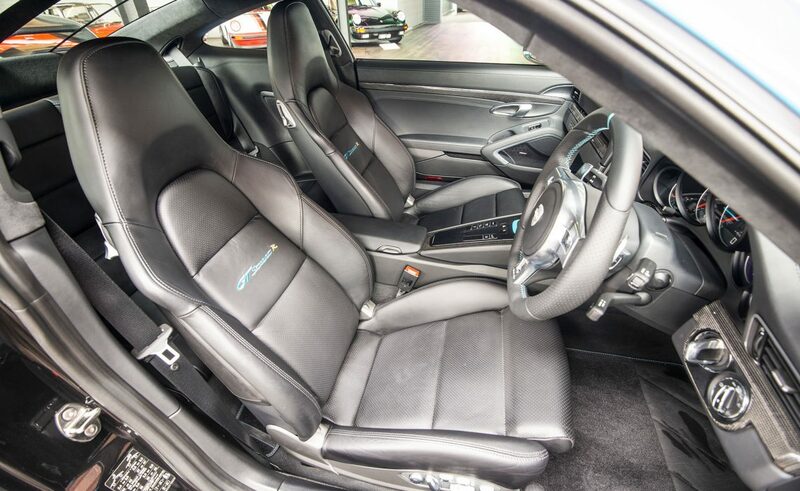 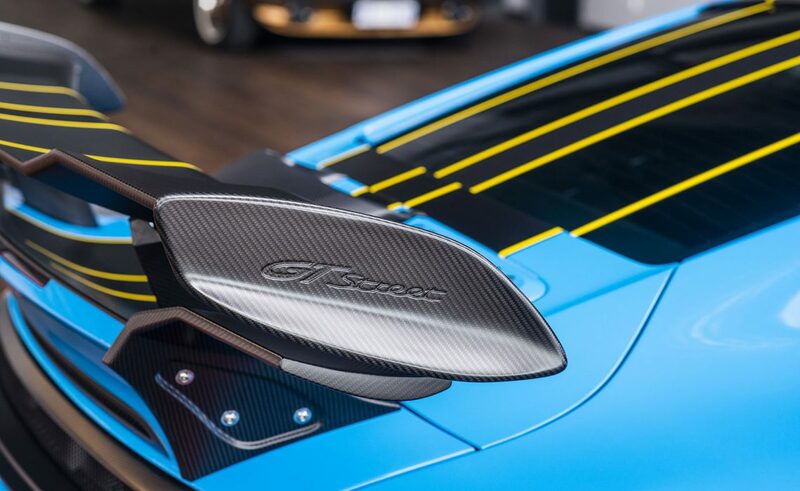 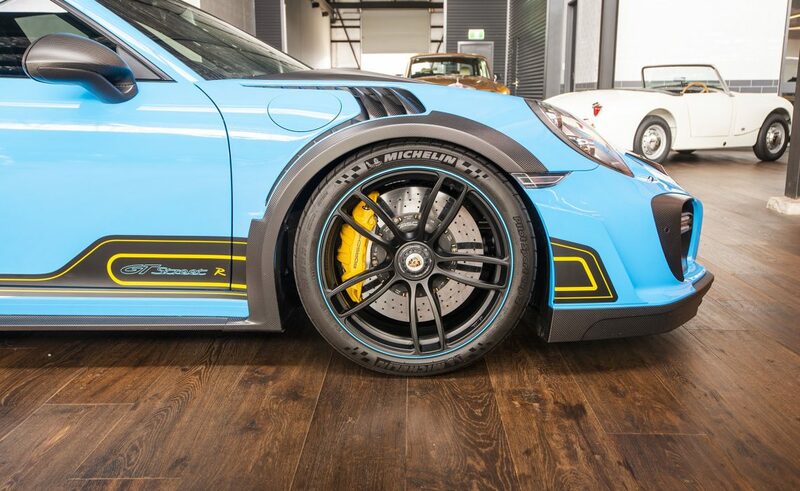 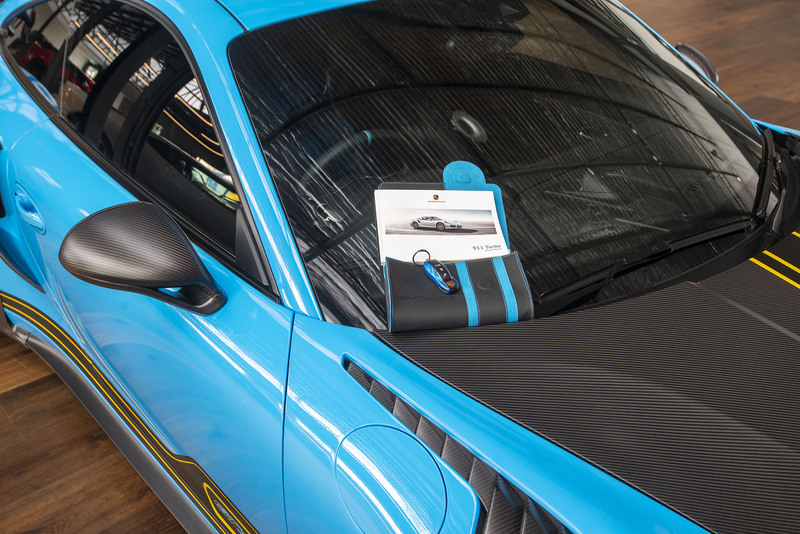 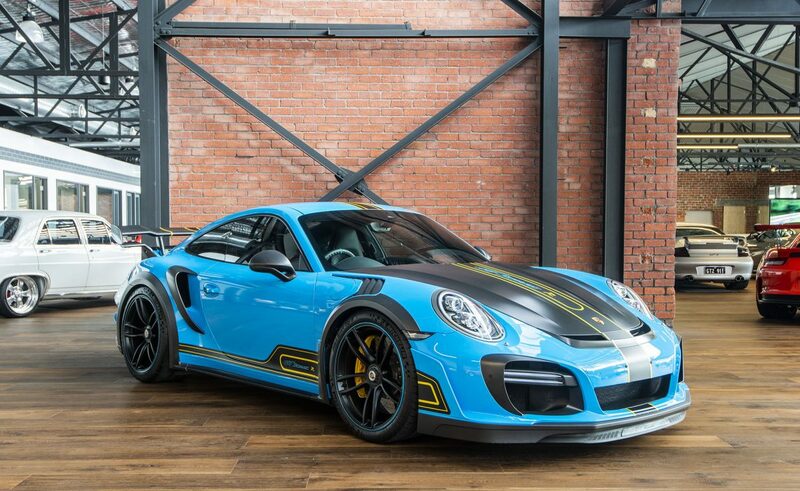 If you're looking for exclusivity, this TECHART GTstreet R is currently the only vehicle of its kind in Australia. 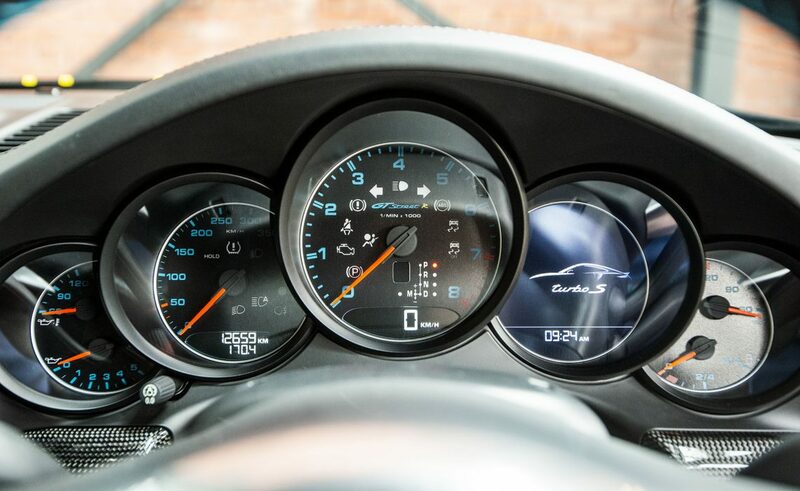 Build no. 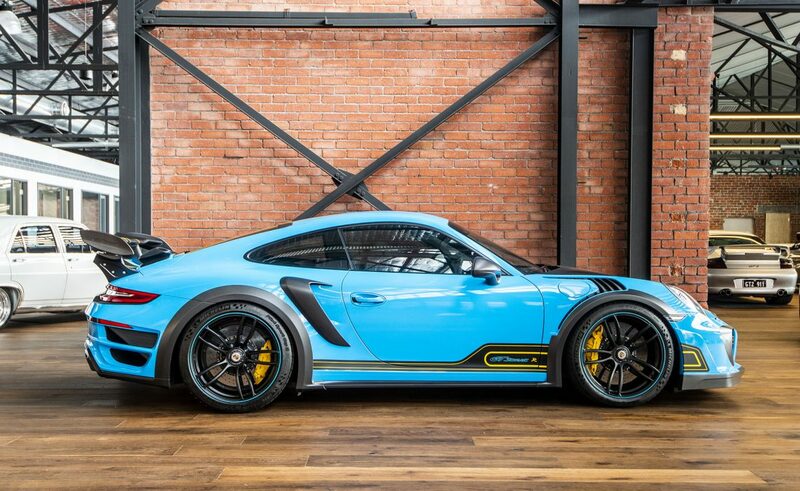 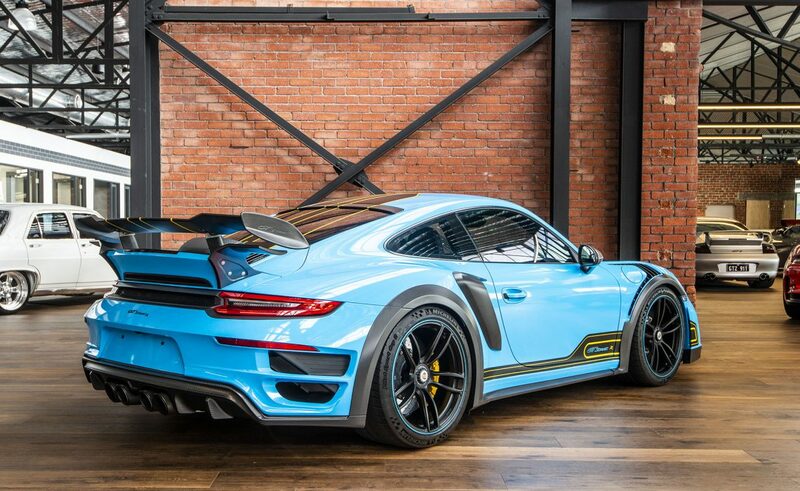 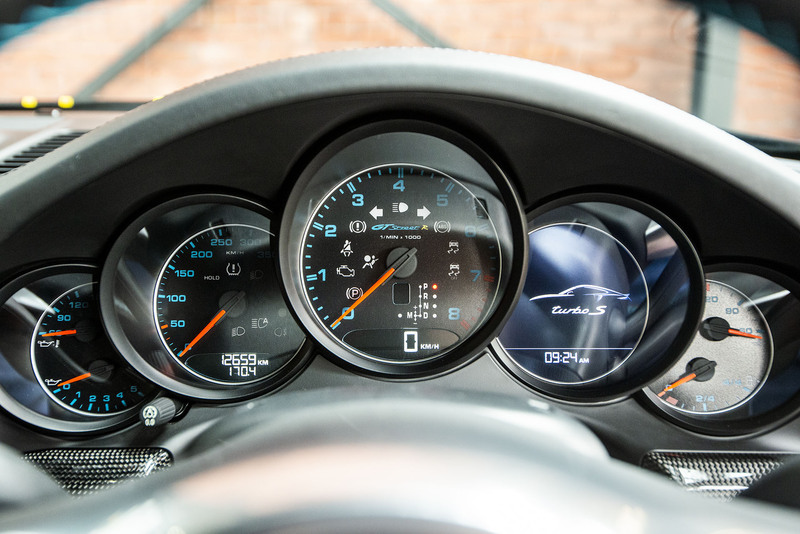 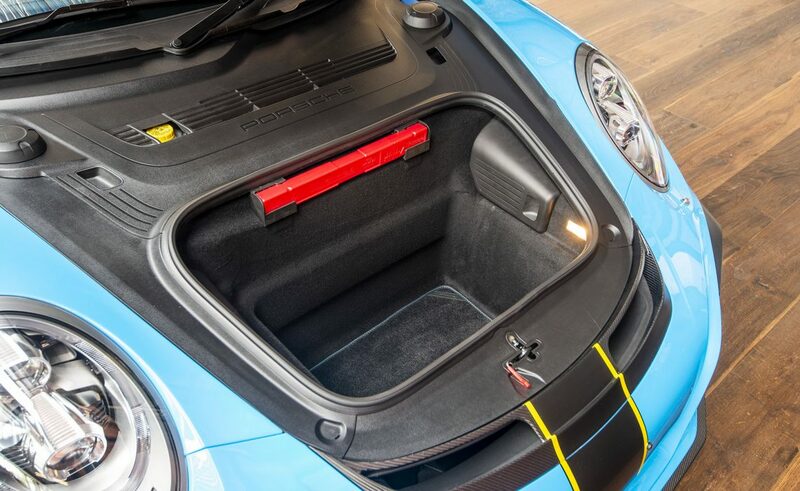 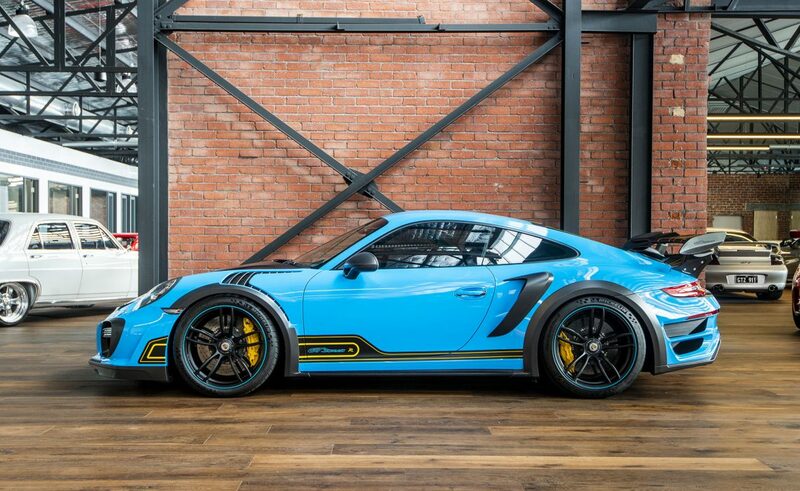 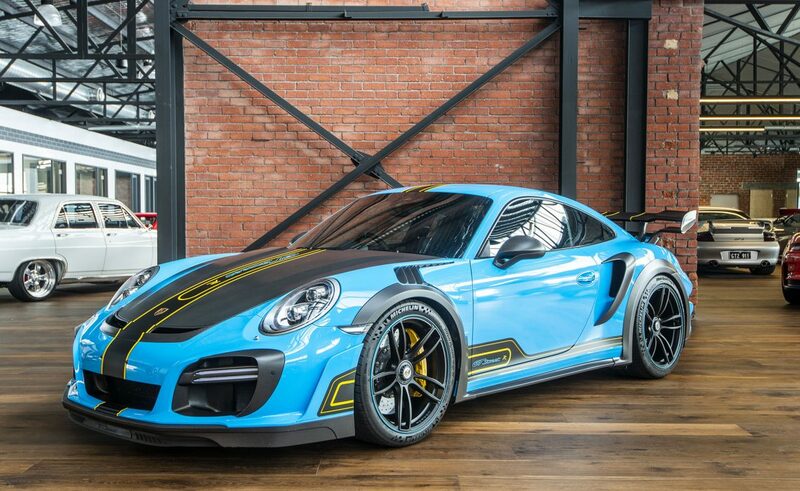 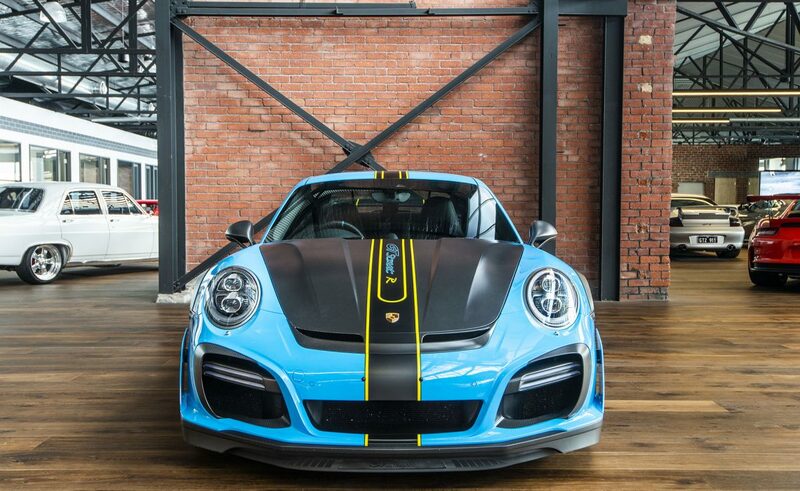 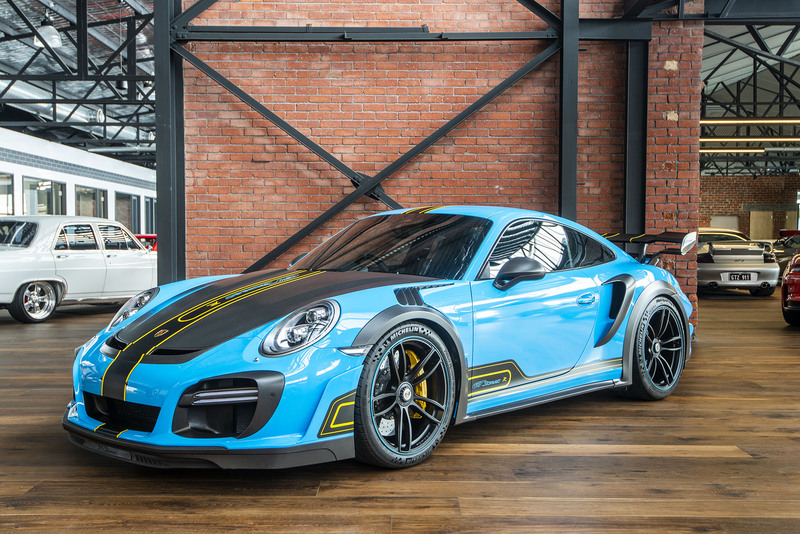 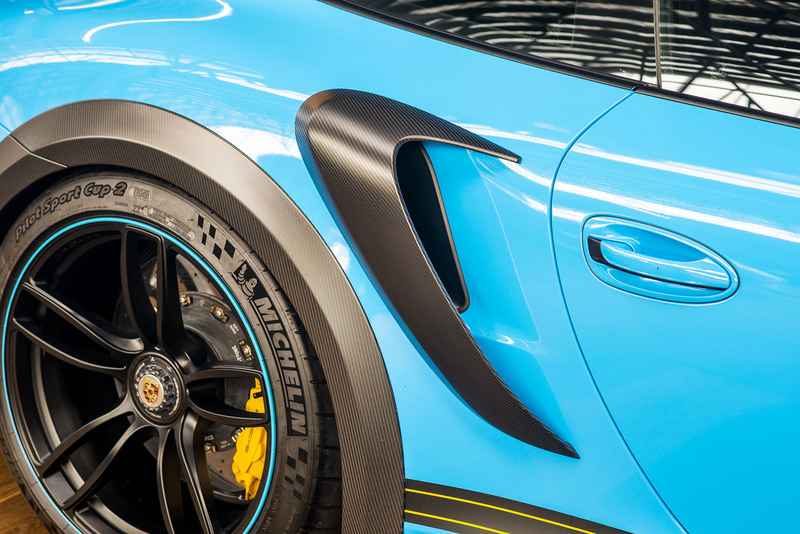 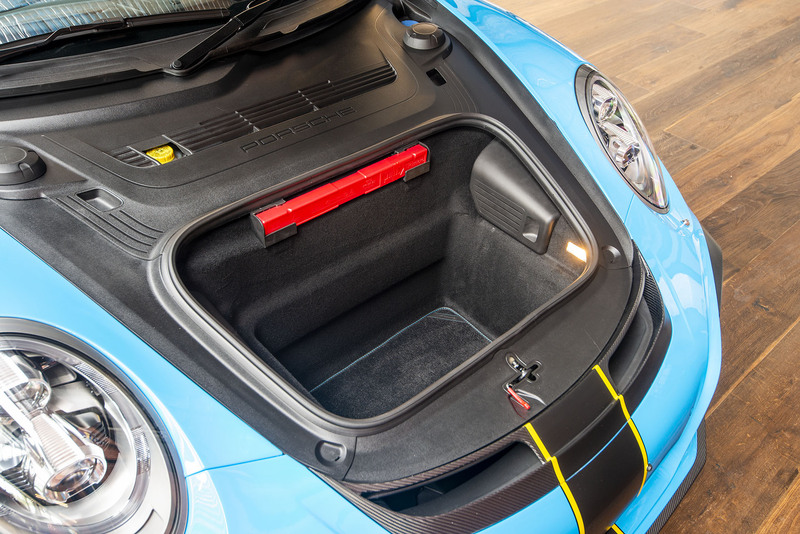 23/30 in the world, the car is based on a 2014 Porsche 911 Turbo S with 12,659 kms including factory options including Carbon Ceramic brakes, front and rear parking sensors, rear camera, fully electric and heated seats. 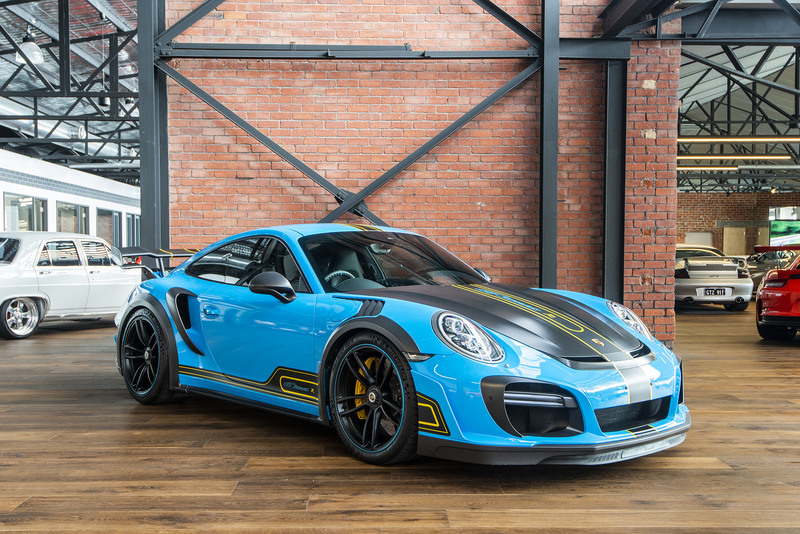 The TECHART rebuild has resulted a completely new and upgraded car, both visually and internally to enhance looks, improve power and reduce weight. 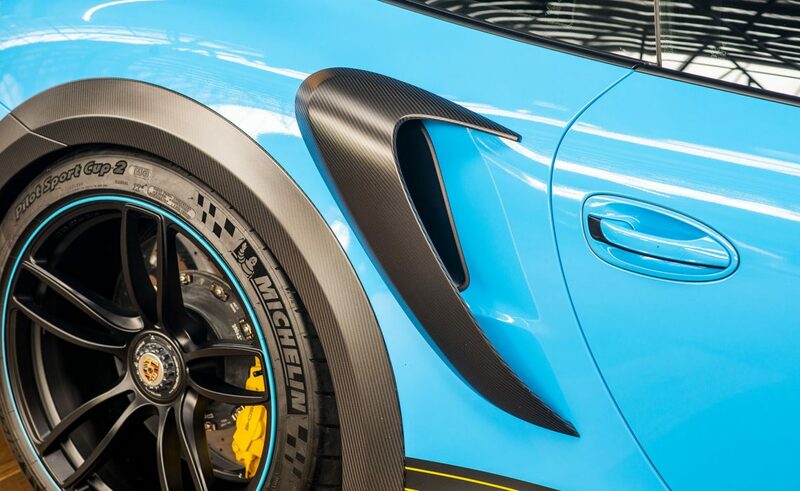 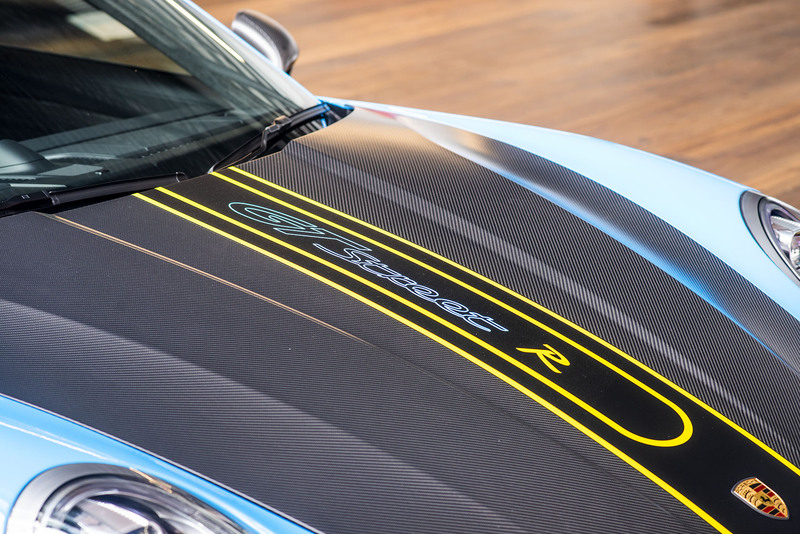 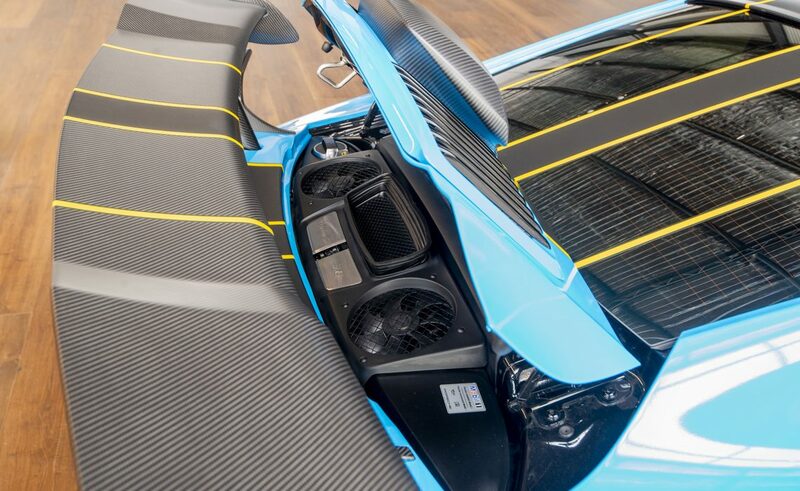 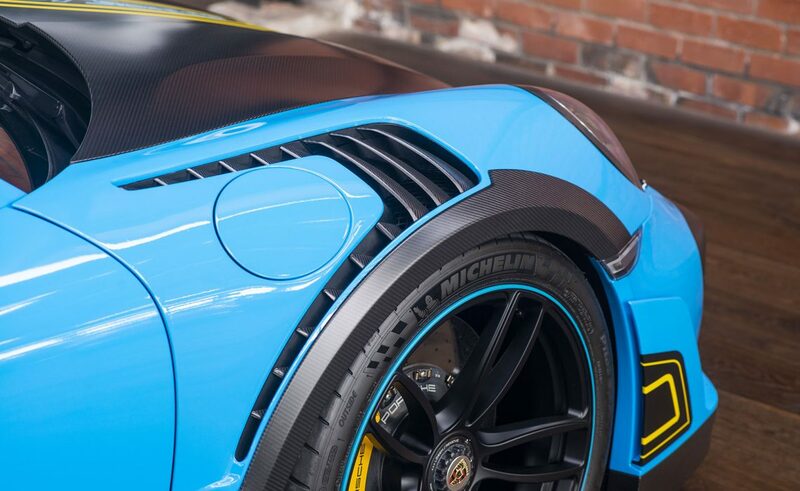 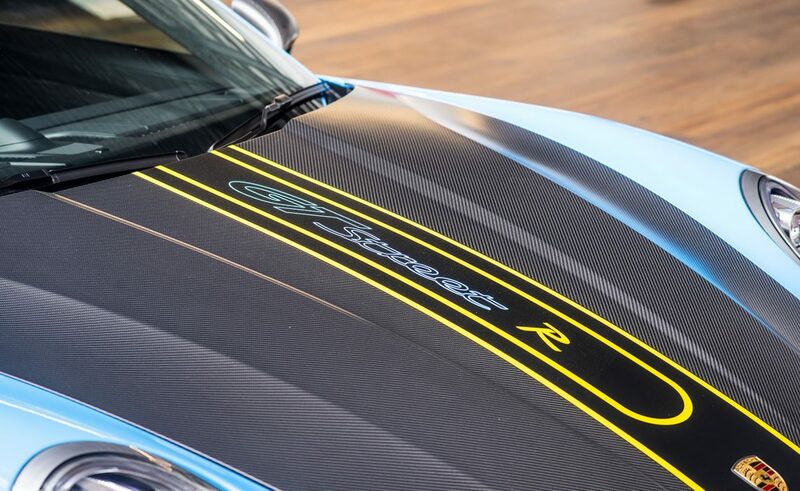 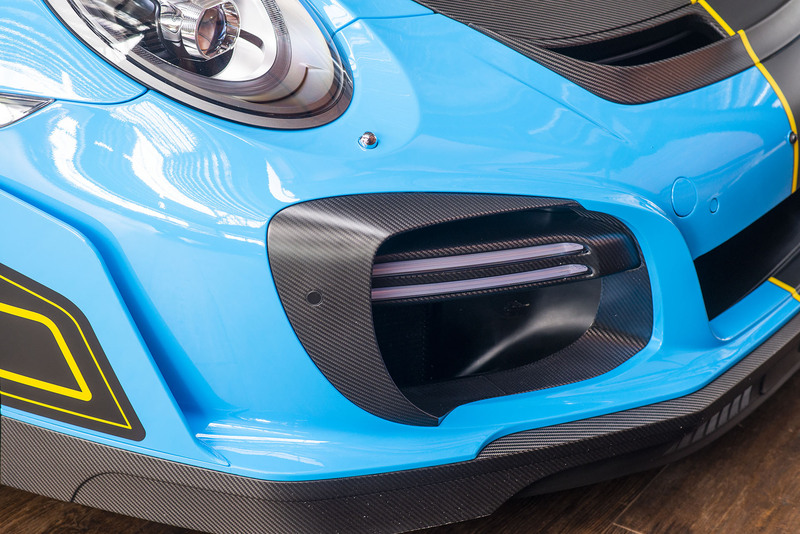 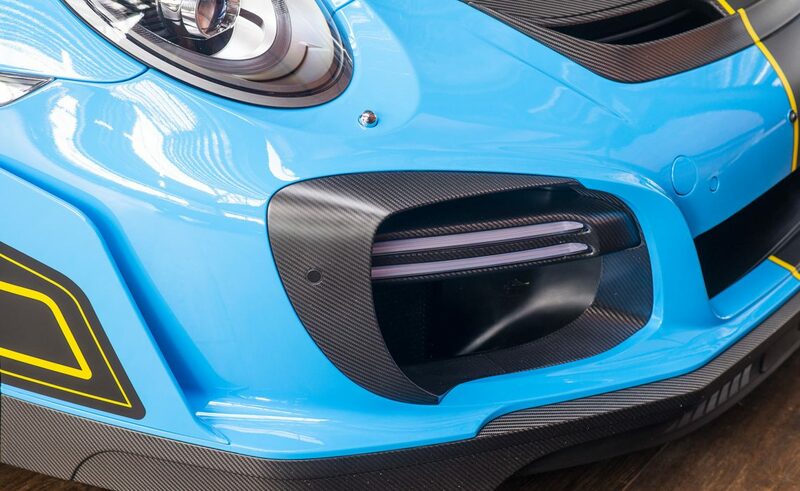 The expressive, lightweight GTstreet R carbon fiber body parts spotlight the driving dynamics. 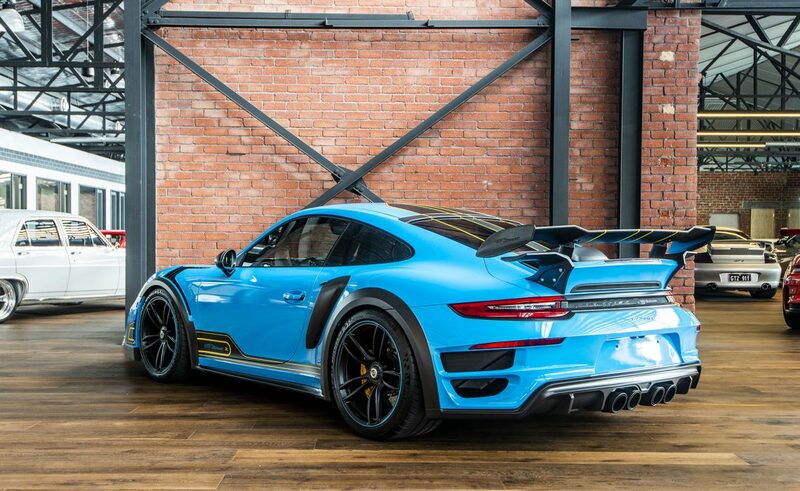 However, this TECHART bodykit is much more than just styling. 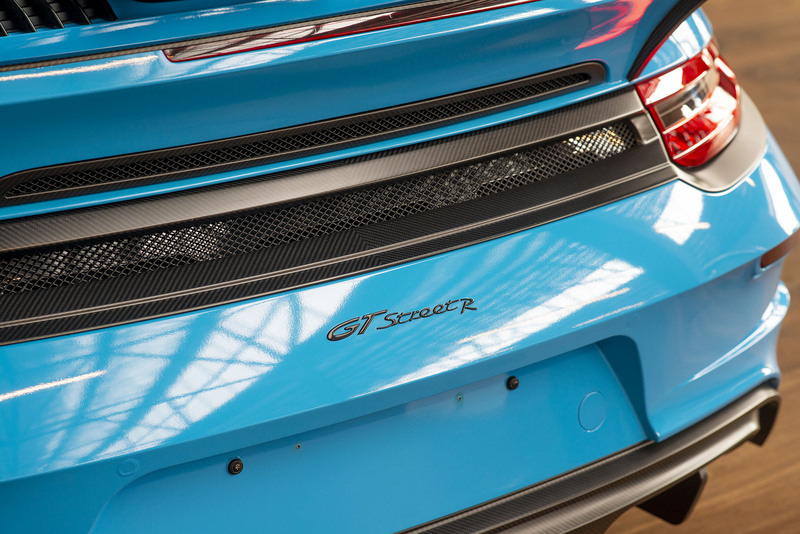 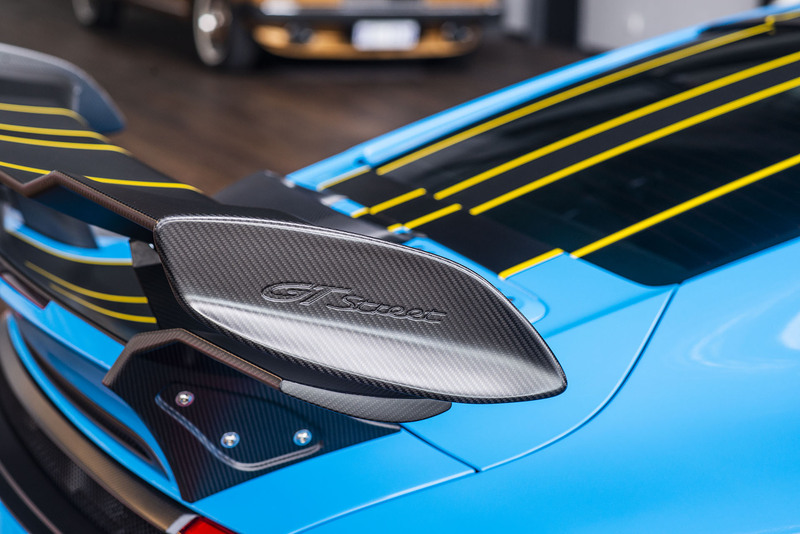 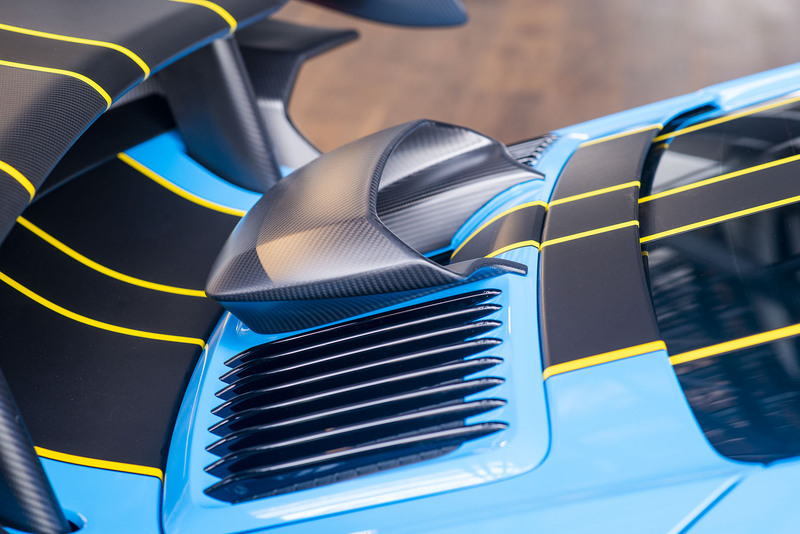 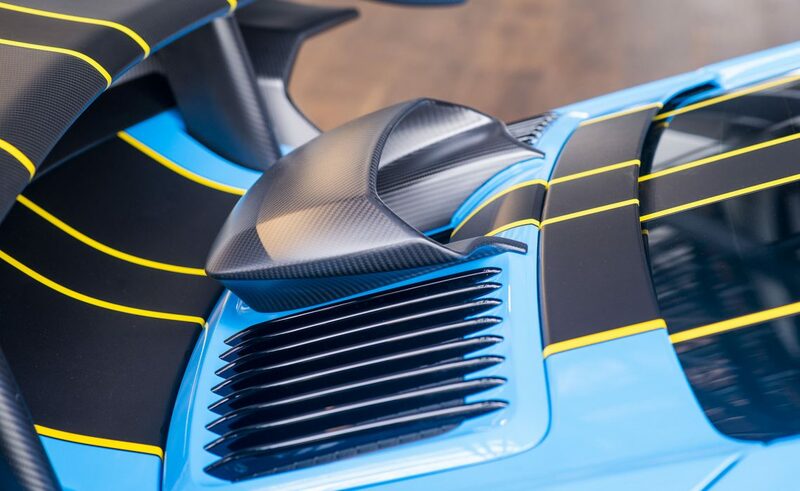 It was designed to ensure well-balanced aerodynamics as a key feature of the GTstreet R. This design is crucial for breathtaking longitudinal and lateral acceleration and ensures optimum driving stability at all speeds. 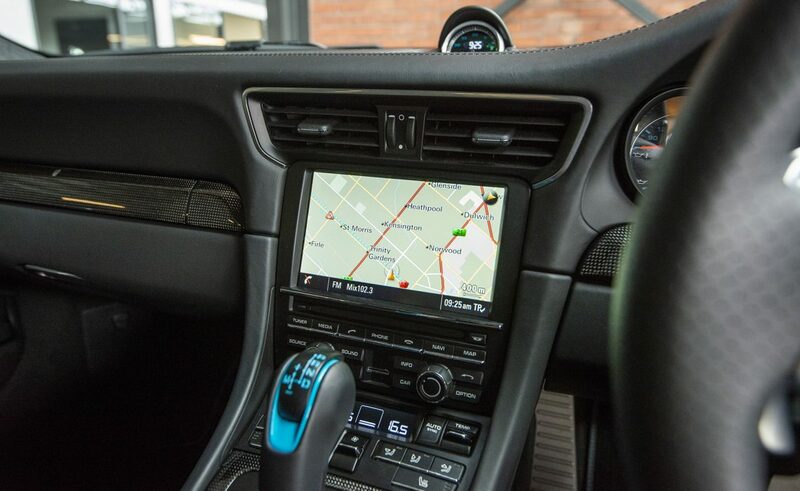 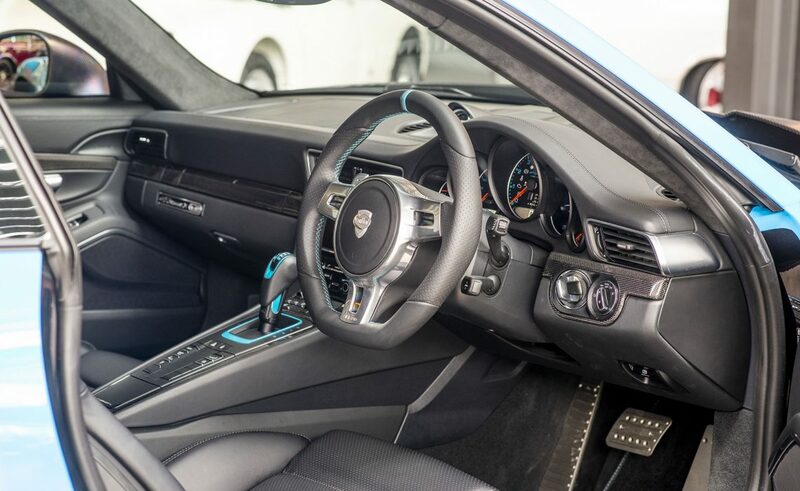 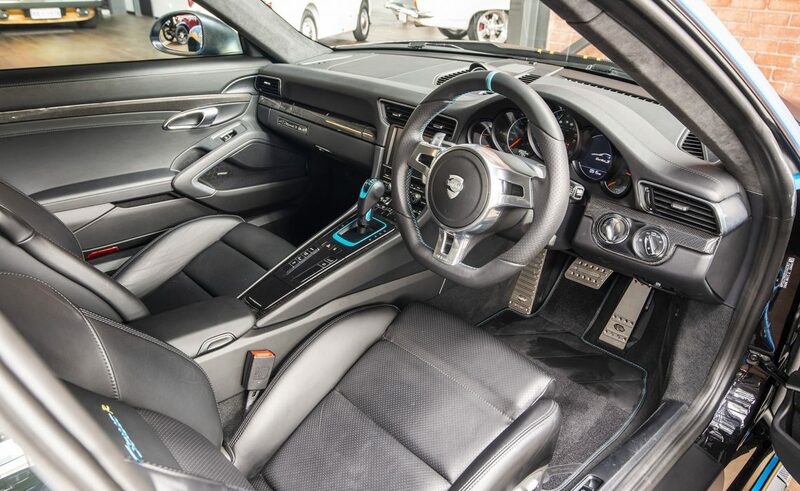 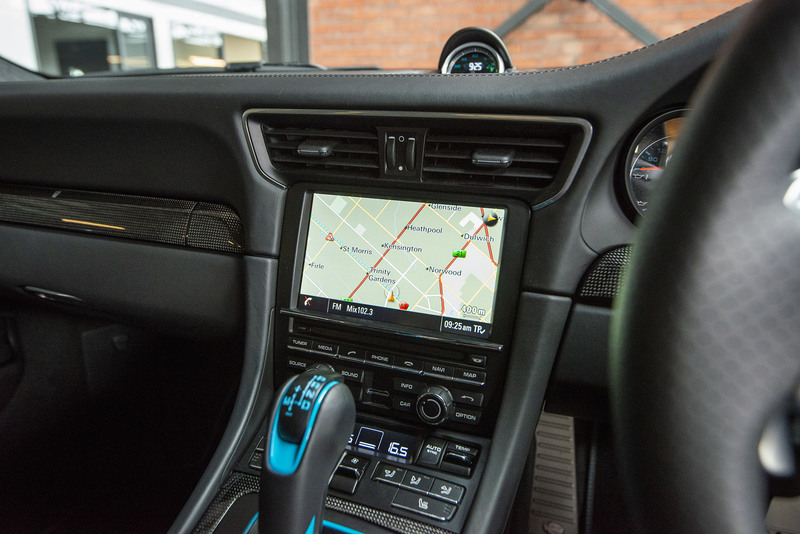 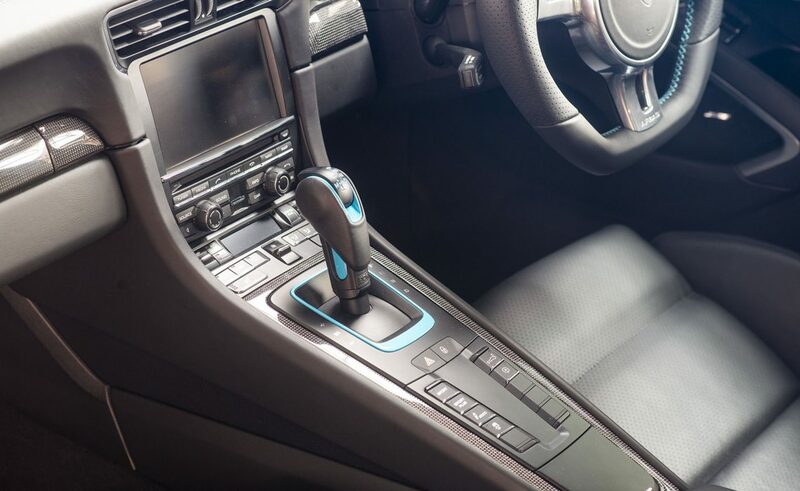 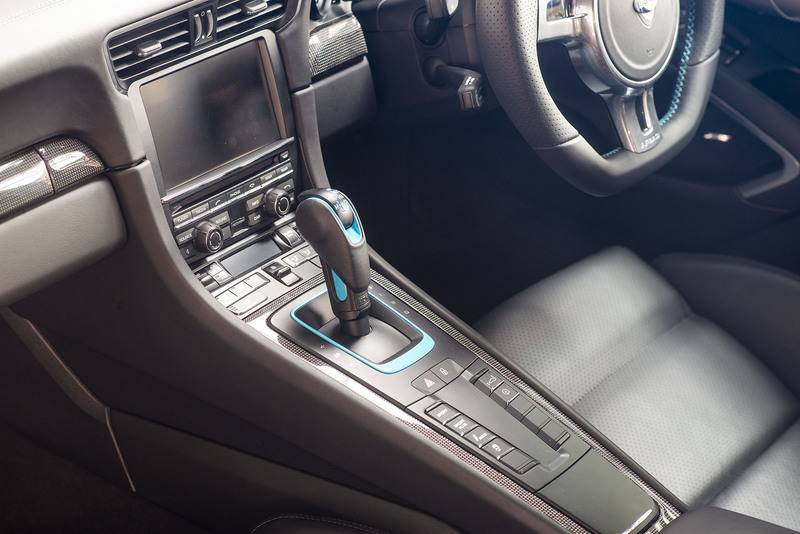 GTstreet R 'Exclusive' is the TECHART interior variant which underlines, just as sporty, the precious value and comfort. 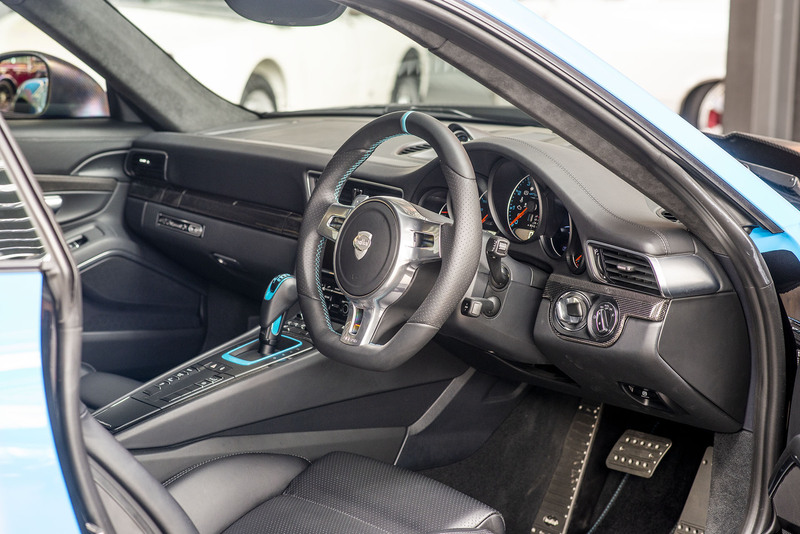 Finest leather, made from hand-selected hides turns the interior into a masterpiece, custom built by TECHART’s skilled master craftsmen. 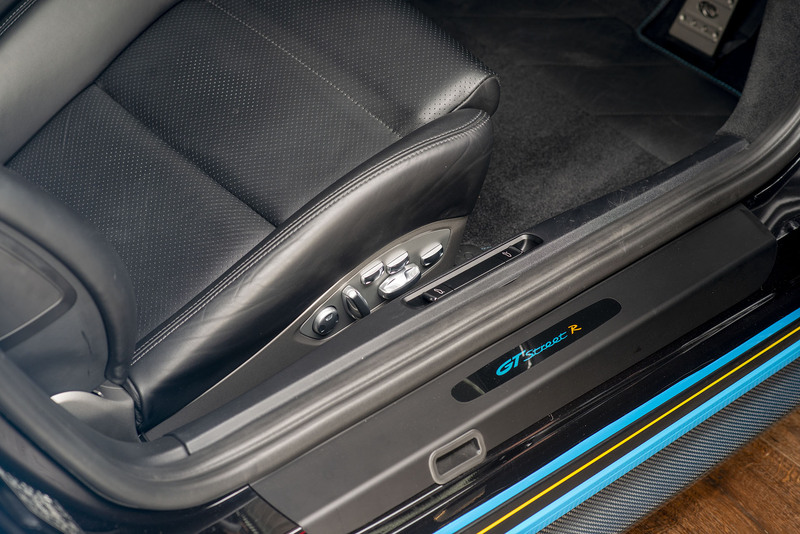 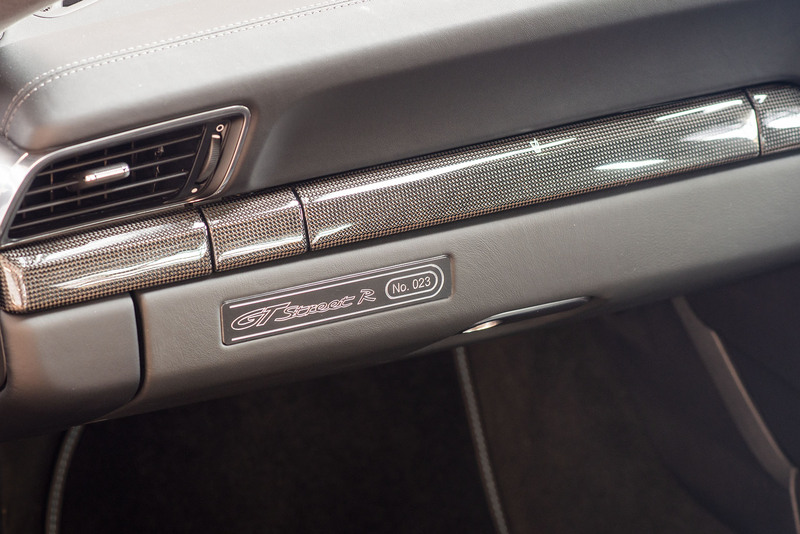 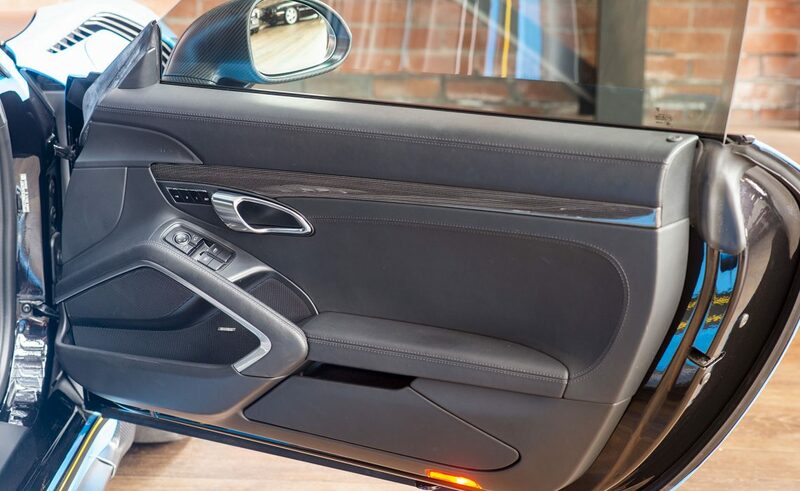 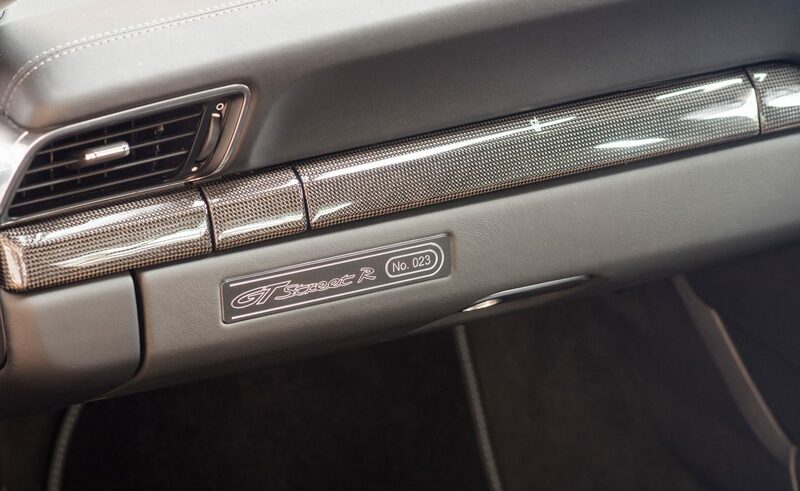 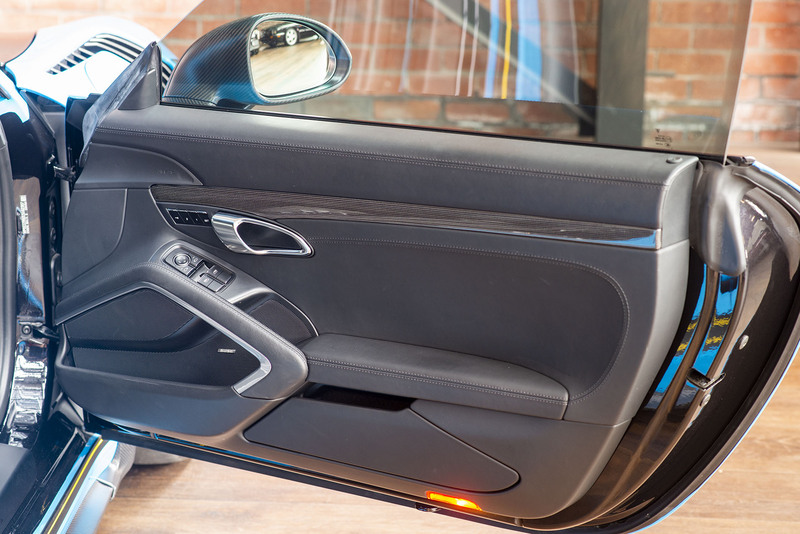 This includes GTstreet R design door panels as well as refined interior parts in leather. 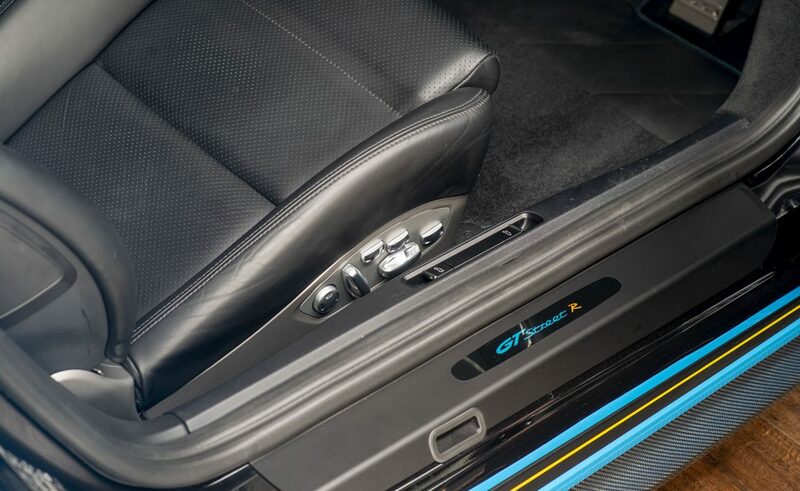 The seats are made in the distinct GTstreet R design. 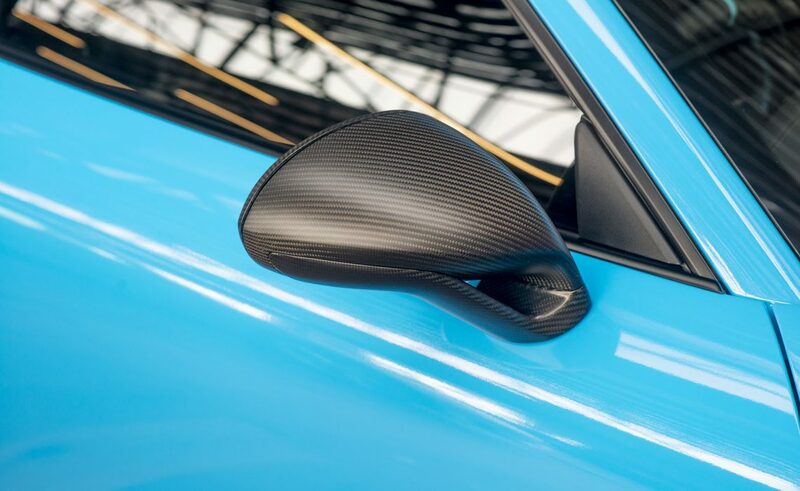 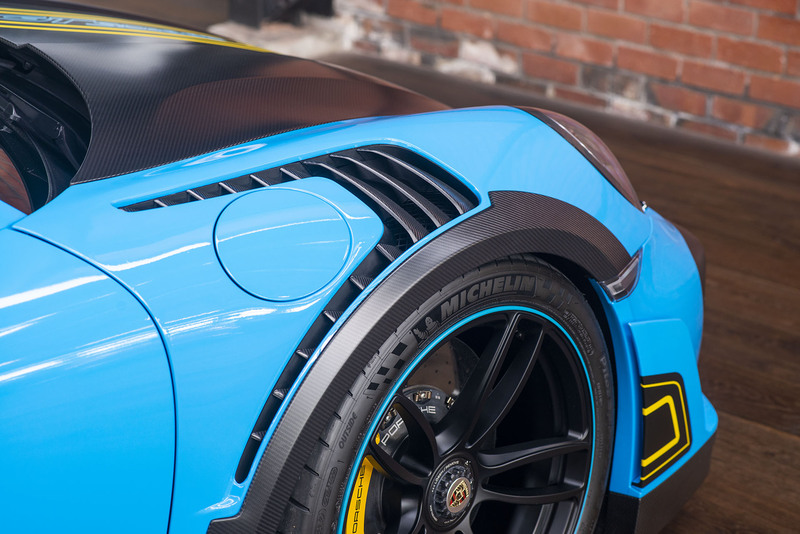 Trim parts are color-matched and finished in body color with a splash of carbon fibre trim to complete. 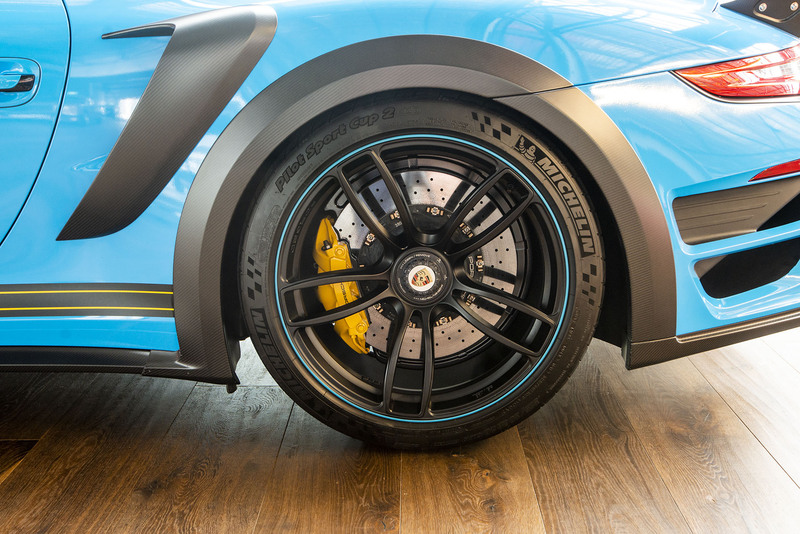 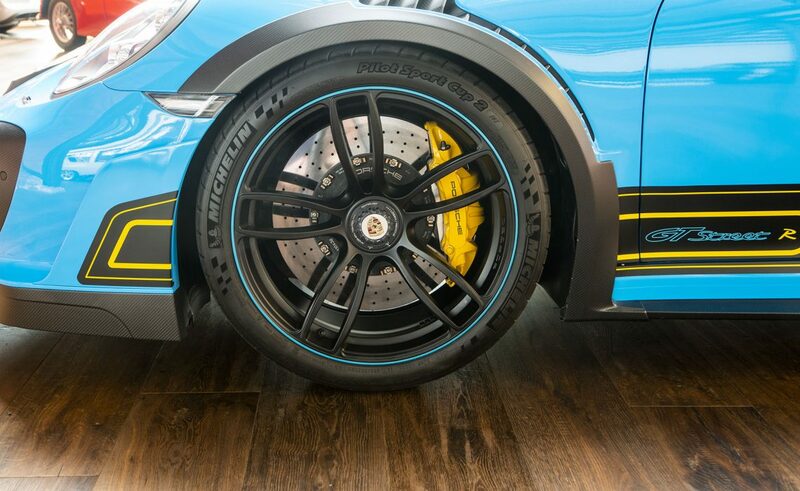 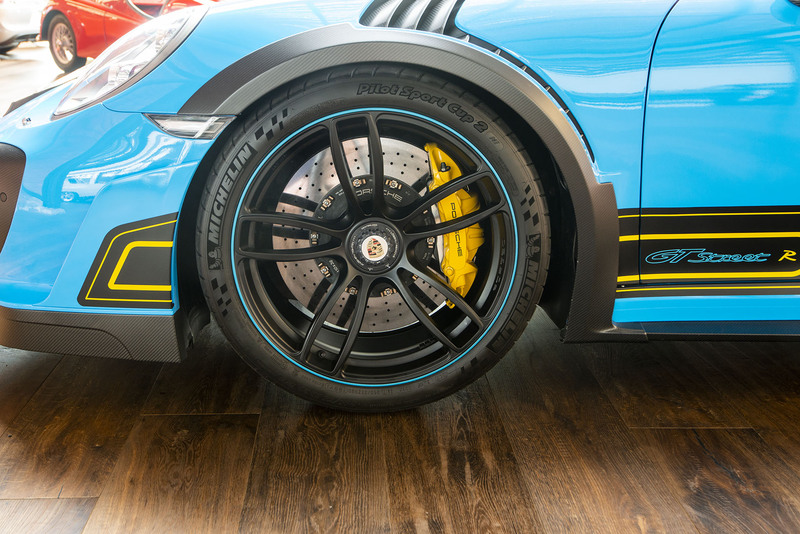 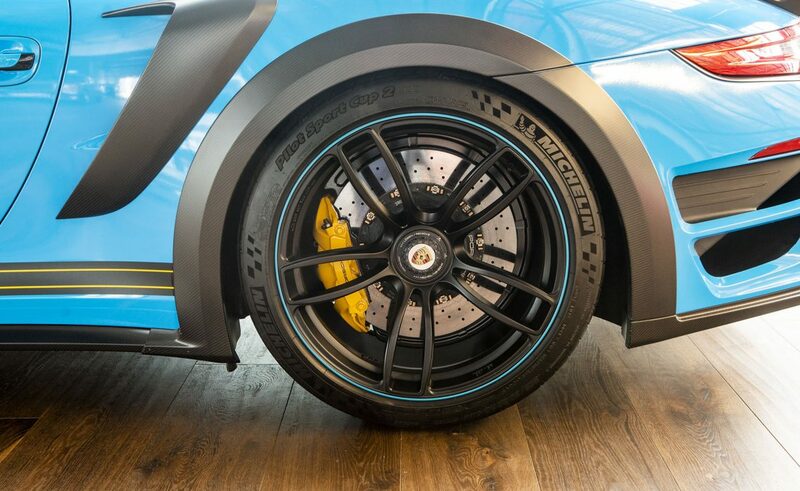 The forged 20-inch TECHART Formula IV Race centerlock wheels are equipped with tyres with Michelin Pilot Sport Cup 2 tyres measuring 265/35 ZR 20 at the front and 325/30 ZR 20 at the rear. 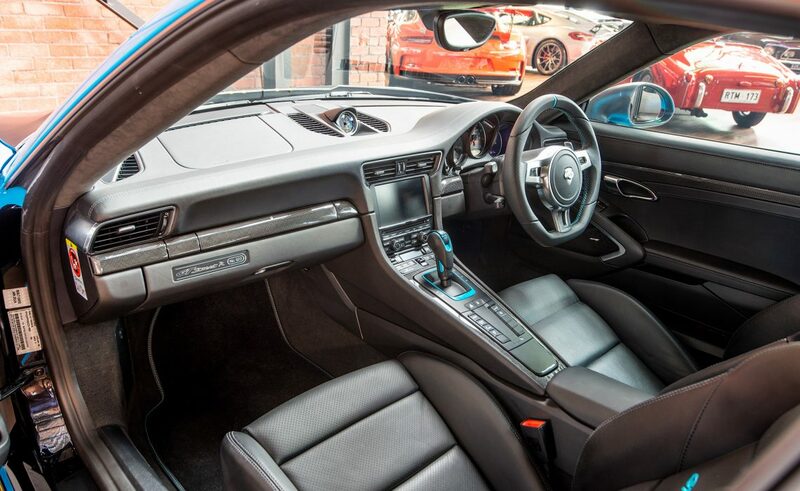 Performance - 0-100km/h in a mind numbing 2.8 seconds. 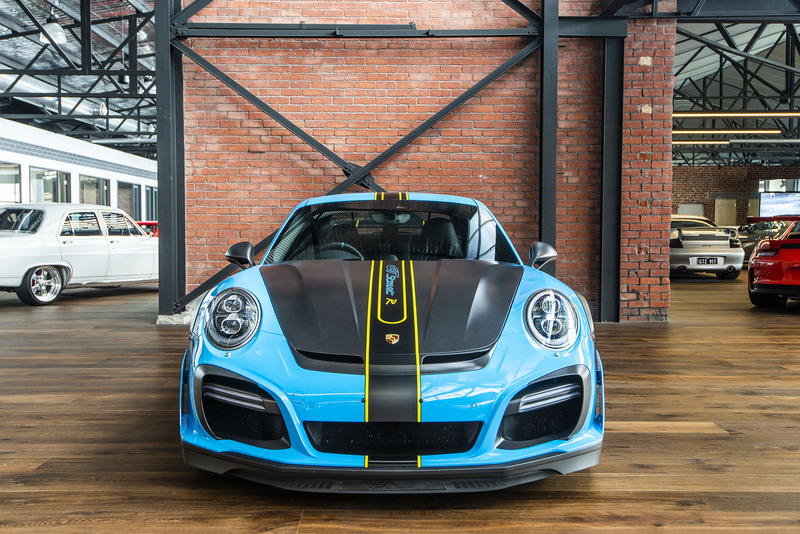 Don’t miss out on your chance to own one of the most exclusive sports cars on Australian roads and the only TECHART GTstreet R in the country!